"The Water Test Network represents a unique partnership of organisations which is fully focused on supporting small to medium businesses to accelerate their innovations to market"
Wastewater and water development centres in Bo’ness and Gorthleck, near Inverness, provide innovators with facilities to test and develop their processes and products under live conditions but in a safe and dynamic environment which does not risk public health or safety. These two Development Centres are Scotland’s first full-scale testing facilities dedicated to supporting research and innovation in water and wastewater treatment. The James Hutton Institute will provide expertise in the area of laboratory testing, verification, accreditation and regulation as well as working with SMEs to improve their understanding of the market they aim to enter and prepare the ground for new technologies. The UK’s role in Water Test Network is being highlighted at a leading biotechnology conference taking place today and tomorrow (Jan 30sup>th & 31sup>st) in Glasgow. The Industrial Biotechnology Innovation Centre focuses on collaboration between industry and academia to bring products and processes to commercial reality. The 5th annual Industrial Biotechnology for a Sustainable Future conference is providing a forum for the Scottish joint team to speak to hundreds of professionals, experts and academics and highlight the new innovation network. Paul Kerr, of Scottish Water Horizons, the water utility’s commercial subsidiary, which operates the development centres, said: “Bringing bold new solutions to market that will benefit water users wherever they are will significantly enhance how we protect and enhance water quality and ensure our environment is safeguarded. Dr Richard Allan, of the James Hutton Institute, commented: “The Water Test Network represents a unique partnership of organisations which is fully focused on supporting small to medium businesses to accelerate their innovations to market. The five-nation link-up was unveiled in Brussels in December and today marks the launch of the network in the UK. 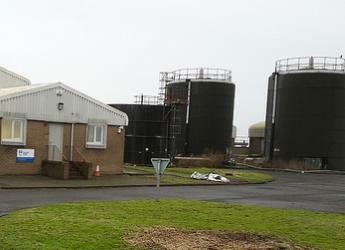 To date, there have been seven trials completed by Bo’ness (wastewater treatment) and Gorthleck (water treatment). They focused on several different areas of water and wastewater management, and have included trials by De Montfort University and Californian company Microvi MicroNiche Engineering. To find out more about the Water Test Network, visit the Interreg website. Bernardo Rodriguez-Salcedo, Media Manager, James Hutton Institute, Tel: +44 (0)1224 395089 (direct line), +44 (0)344 928 5428 (switchboard) or +44 (0)7791 193918 (mobile).